My go to hotel for any short visit to Chicago. Walking distance from Wrigley! great location and bang for your buck!!!!!!!!!!!!!!!!!!!!!!!!!!#!!!!!!!!!!!!!!!!!!!!! Super basic, but clean, and the onsite parking is a Huge bonus. This is a really cool, old historical building in a wonderful neighborhood with lots of restaurants and Lincoln Park along Lake Michigan all within walking distance. Tiny room. The bed took up most of the space. Old and dated but was decent and clean. It’s not fancy comfort by any means, but it’s clean and safe each time. Central location to several major bus lines and the El, good food nearby. I wish (a) we could regulate the heat easier and (b) rooms had a safe. But overall, it’s perfectm for a quick jaunt to the city. Hotel staff was very rude. Accused of throwing ice out of the window? Repeatedly denied the accusations until they had the police come kick us out. Clearly they just wanted our money. Then charges us a smoking fee when we didn’t even spend the night. This is the absolute worst hotel in Chicago and I wouldn’t stay here for free! Professional, courteous and helpful staff! Location is fantastic! Hotel is very old, but the staff was very nice. We were able to check in early. Bed was comfortable. Bathroom was tiny and there is no fan. Reasonable hotel for the price. Very welcoming place - vintage hotel (that will be razed in 2018 for a boring glass and steel monstrosity!). Charming, inexpensive, helpful staff. Liked everything about the place - BUT the rooms didn't have individual heat, and Chicago in January can be cold! Staff was fantastic - friendly, helpful. Room was more spacious than I had anticipated. Came with breakfast, also unexpected. My experience was very positive. Staff is very friendly and helpful. Rooms were warm when arrived, just had to blast the window AC, small but all we needed! No fridge or blowdryer.....didn't realize how convienant those things were, great location! I enjoyed the area. I was able to walk to Wrigley Field. The eating places were plentiful and I enjoyed that. Daughter and son-in-law were giving birth at St. Joseph 5 blocks away. Nice walk every day. Rooms are small but plenty fine for the price. Free breakfast was adequate. Staff very friendly and asked every day if we had a baby yet! Took 3 days! At the last minute, I decided I had to stay another night. No problem, kept my own room. Bed was very comfortable. Moved a friend to Chicago from Pittsburgh & needed a place to stay. Restaurants and stores all within walking distance. Nice for an old Hotel. Located in Lincoln Park within a short walk of Briar Street Theatre, Inn at Lincoln Park is within a mile (2 km) of other popular sights such as Lincoln Hall. The 74 rooms at this hotel include coffee makers and LCD TVs and guests can enjoy free breakfast. An LCD TV comes with cable channels, and guests can stay connected with free WiFi. Other standard amenities include a coffee maker, a safe, and a phone. Inn at Lincoln Park offers free WiFi in public areas and coffee in a common area. Self parking is available for USD 35 per day. 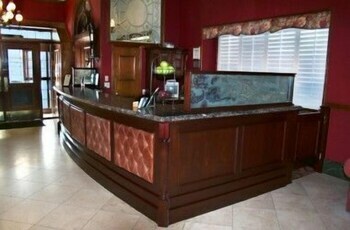 The front desk is staffed 24 hours a day to help with luggage storage and securing valuables. A damage deposit of USD 100.00 will be collected before check-in.